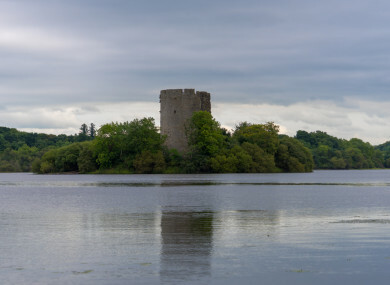 This standalone castle ruin and round tower is located in the natural landscape of the Lough Oughter network of waterways. In 1233 the O’Reilly clan took possession of the area and kept the castle for centuries, while in conflict with the original owners the O’Rourke clan. It was lost finally during the Cromwell battles in 1653. Guided boat trips and visits to the castle can be arranged with Cavan Canoe Centre, but visitors can explore the castle and lakes on canoes or kayaks. Amenities: There are no toilet or lounge facilities at the site and the castle grounds are unsuitable for wheelchair users. Opening hours and costs: Tours by boat are available to arrange daily between 10am-6pm and are priced at €20 for adults. Visitors can rent canoes or kayaks either at €25 for adults or €15 for children. Visitors here can discover exhibitions on Cavan’s role during key moments in history like the Irish Famine, 1916 Rising and World War I. There is a also a focus on medieval history, archaeology and folklore with Celtic spirituality emblems such as the Killycluggin stone and the three-faced Corleck Head. The museum also houses a medieval dug-out boat and a selection of medieval Sheela-na-Gigs and guided tours tell the story of the artefacts here that span over 6000 years. Amenities: All areas are fully accessible to wheelchair users and there is a café, gallery, gardens and craft shop. For younger visitors there is a playground, clay-modelling and storytelling. Opening hours and costs: The museum is open Tuesday-Saturday 10am-5pm and Sundays 2-5.30pm. Prices are €6 per adult, €4 for senior/student and family €14 (two adults and two children). Located in the marble arch caves global geopark, the prehistoric landscapes were home to the first settlers around 4500BC. During the last ice age, huge boulders of sandstone were deposited by glaciers and evidence of this can be seen throughout the park. It is understood that in the neolithic period the first farmers arrived at the Burren and their settlement remains can be seen here, for example the Giant’s Grave wedge tomb. Amenities: One of the four available walks is suitable to wheelchair users and there are public toilets. Opening hours and costs: Visitors are welcome daily FREE of charge and the park is open from 7am-10pm. This park forms part of the Cabra Estate. The story goes that Cúchullain rested in these woods while fighting the armies of Queen Maeve of Connaught. Ruins of the Flemings Castle can be seen and walks within the park include the natural trail, village walk and river walk. Amenities: The park has wheelchair access, a picnic area, public toilets, a duck pond and walled gardens. Opening hours and costs: The park is FREE to enter but there is a parking charge of €5 per car. Gates open at 7am and close at 9pm during the summer season. St Kilian was born in Mullagh and his family lived and ruled in the East Cavan area. He founded a church and built the Holy Well in what became the parish of Mullagh. The centre holds an exhibition room, local history room and auditorium which celebrate the life of St Kilian. The exhibition also traces the development of Gaelic script from the writing of ogham, as well as the Wurzburg glosses illustrations. Amenities: There is full wheelchair access and toilet facilities, a coffee shop and craft shop on site. Opening hours and costs: The centre is open Tuesday-Friday 10am-6pm, and weekends/bank holidays 10am-6pm. Admission prices are €3 for adults, €2.50 for seniors, students or groups. Thanks to Cavan County Council for recommendations. TOMORROW: Top 5 must-sees in Clare and Cork. Email “Your summer in Ireland: 5 must-see sites in Cavan”. Feedback on “Your summer in Ireland: 5 must-see sites in Cavan”.